Tyne Theatre & Opera House are thrilled to welcome back the hilarious Count Arthur Strong on Thursday 7th June 2018 with his brand new show ‘Count Arthur Strong is Alive and Unplugged’. Count Arthur last performed at Tyne Theatre & Opera House in May 2017 with his show ‘The Sound of Mucus’, which was recorded live for DVD. Count Arthur Strong is the comic creation of Steve Delaney. He’s an eccentric, pompous out-of-work actor from Doncaster with delusions that he is a show-business legend. ‘Alive and Unplugged’ will see Count Arthur take the audience back on a journey through his early career, delving into his own personal box of video cassettes to talk the audience through the highlights of his glittering TV career, with many of the trademark stories we’ve come to love him for. 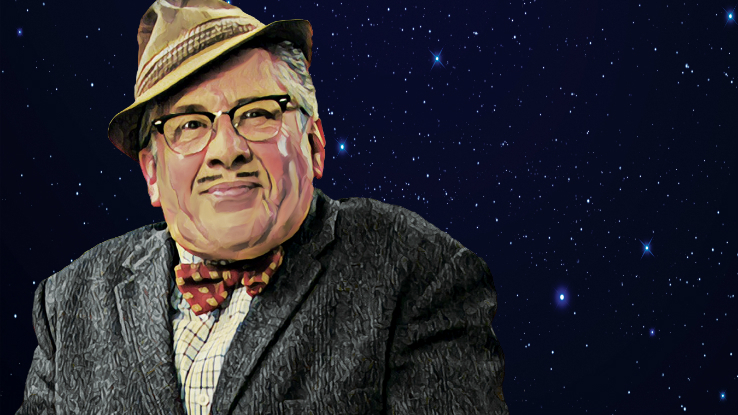 Count Arthur Strong is the latest comic to be added to Tyne Theatre & Opera House’s star-studded stand-up comedy line-up for 2018. Some of the biggest names in comedy will perform at the Grade 1 listed Victorian theatre next year, including Jon Richardson, Katherine Ryan, Ed Byrne, Tim Vine, Sarah Millican, Ed Byrne, Dave Spikey and many more. Many of the shows are already close to selling out, so customers are advised to book early!